New from Burgon & Ball, this gorgeous pruner and holster set comes in a letterbox-friendly gift box ideal for posting. The RHS-endorsed pruner features tough high carbon steel blades with a 10-year guarantee and lightweight alloy handles finished with cerise comfort grips. 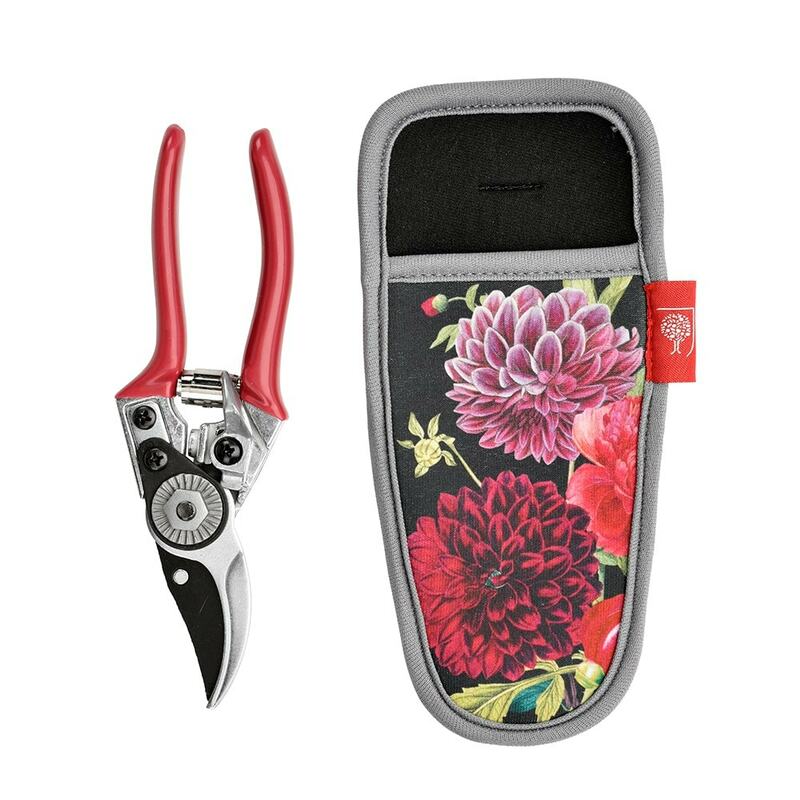 The neoprene holster bears the striking British Bloom dahlia print and comes equipped with a belt loop for easy gardening on the go. Part of the RHS British Bloom collection featuring early 19th century illustrations and watercolours dating back to the 1630s, selected from the RHS Lindley Library.